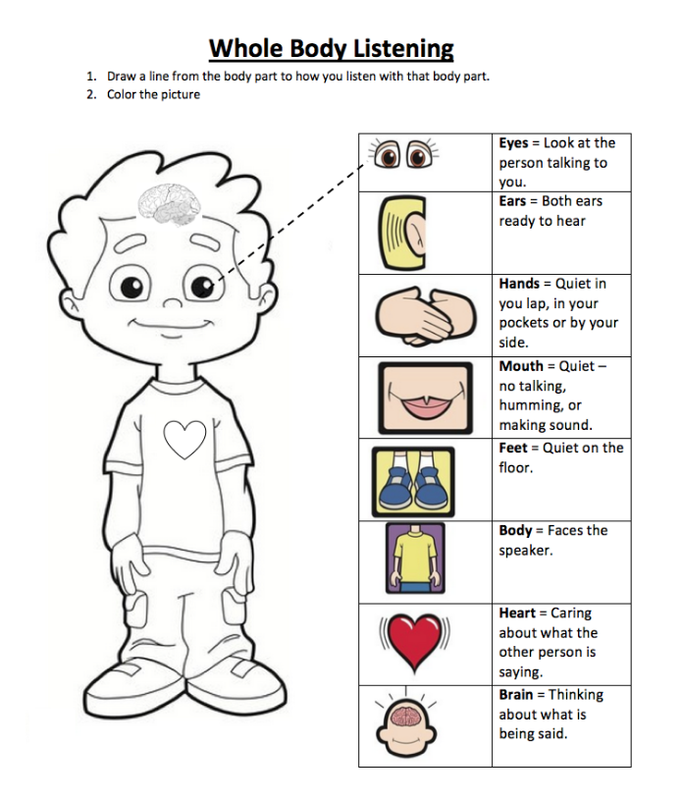 I told my BC Calculus class today all about Whole Body Listening. My kindergarten aged daughter had come home with a handout about it from school. My wife liked the idea so much it is now on my daughter's wall in her bedroom. Just recently I was debriefing an observation with a math teacher and we were talking about how the students were not listening to each other. In watching my video tape of my recent lesson I noticed students were lost in their iPads and not facing the speaker. It's hard to be really listening if you are writing on an iPad with your stylus, not facing the speaker, and not thinking about what is being said. We've got to get our students to really care about what their classmates are asking or saying.